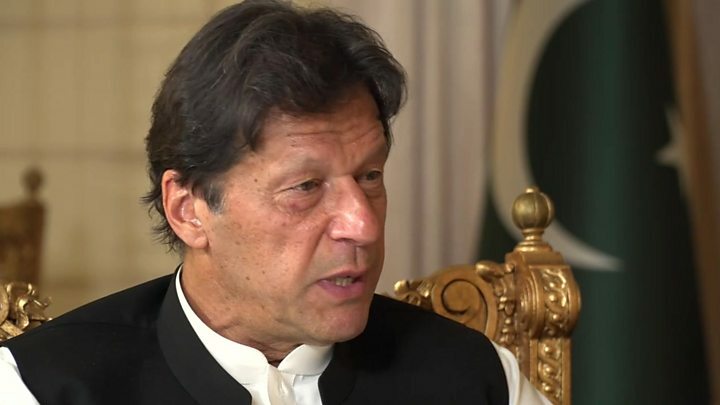 Pakistani Prime Minister Imran Khan has told the BBC that peace with India over the disputed territory of Kashmir would be "tremendous" for the wider region. Mr Khan, a former cricketer who became leader eight months ago, said the nuclear-armed neighbours could only settle their differences with dialogue. The comments come as India prepares to vote in a general election, weeks after an upsurge of violence in Kashmir. A suicide attack against Indian forces triggered cross-border air strikes. Asked what message he wanted to send to Indian Prime Minister Narendra Modi and his country, Mr Khan told the BBC's John Simpson that the Kashmir issue "has to be settled" and "cannot keep boiling like it is". "The number-one tasks of the two governments is how are we going to reduce poverty and the way we reduce poverty is by settling our differences through dialogue and there is only one difference - which is Kashmir," he said. India's prime minister has used anti-Pakistan rhetoric and stressed national-security themes during his re-election campaign. Many see the election as a referendum on the polarising politics of his Hindu nationalist Bharatiya Janata Party (BJP). Voting will open on Thursday and continue into May. Mr Khan also spoke about the dangers of confrontation between the two neighbours. "Once you respond, no-one can predict where it can go from there," he said. If India had "come back and then again attacked Pakistan, Pakistan would have no choice but to respond," he added. "So in that situation, two nuclear-armed countries, I just felt it was very irresponsible." Imran Khan has given very few interviews during his eight months in power. So when the BBC and a small group of British and American news organisations were invited to meet him, it was because he wanted to send a message to India on the eve of its general election. He was offering the hand of friendship: let's work together to solve our common problems. The fact is, Imran Khan needs to lighten the atmosphere. Pakistan's economy is in a bad way. Foreign investors are put off by the angry relationship with India, and by claims that Pakistan is allowing militant Islamic groups to operate from its territory - this he strongly denied. No previous Pakistani government had done more to clamp down on terrorist groups, he maintained. For him, everything depends on a solution to the Kashmir problem. If India and Pakistan can find that, he said, everything else could be sorted out easily. Why is there tension over Kashmir? Both India and Pakistan claim all of Muslim-majority Kashmir, but control only parts of it. The neighbours have fought two wars and a limited conflict over the Muslim-majority territory. 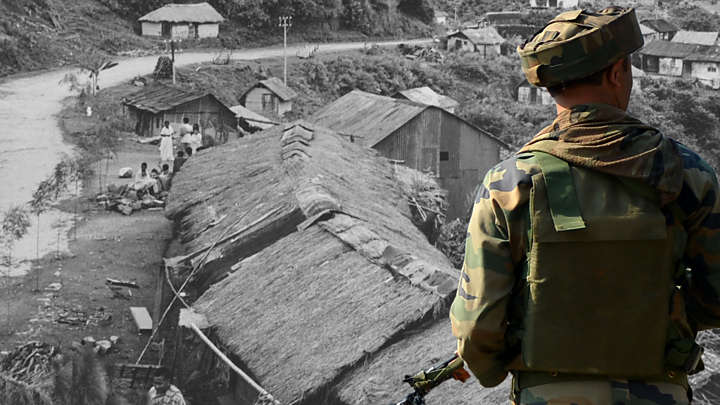 In 2003 the two parties agreed a ceasefire along the province's de-facto border, known as the Line of Control (LoC), but internal unrest has continued. Many who live in India-administered Kashmir resent Indian rule, and Delhi has long accused Pakistan of backing separatist militants there. High unemployment and complaints of human rights abuses by security forces have also aggravated internal tensions and fuelled insurgency. What caused relations to flare this year? Pakistan-based militants killed 40 Indian troops in a suicide attack in Pulwama, in Indian-administered Kashmir, in February. Khan v Modi: Who won the war of perception? It was the deadliest attack of its kind in decades and India said the Pakistani state had a hand in the attack. India responded with air strikes against what it said was a militant training camp in Pakistani territory. 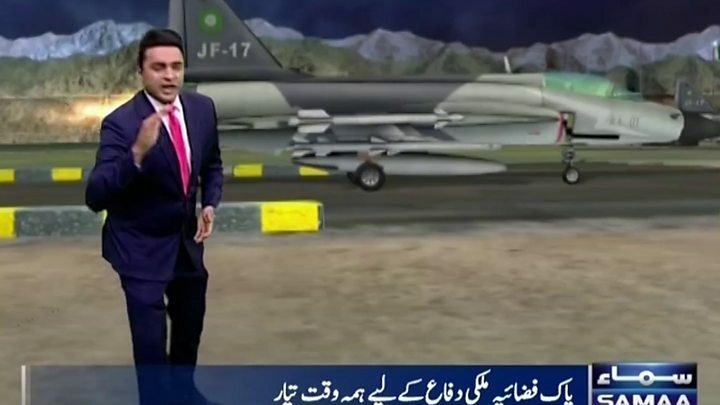 Pakistan then shot down an Indian jet on the Pakistan-administered side of Kashmir. The pilot from that plane was captured alive, but was safely returned to India in what Mr Khan called a "peace gesture". Tensions appeared to have eased since then, but earlier this week Pakistan's foreign minister accused India of planning a fresh military attack. India has dismissed the claims as a "public gimmick" aimed at "whipping up war hysteria in the region". What else did Mr Khan say? Mr Khan also spoke to the Reuters news agency on Tuesday. During that interview, he suggested there could be a better chance of peace if Mr Modi were re-elected. "Perhaps if the BJP - a right-wing party - wins, some kind of settlement in Kashmir could be reached," he said, while suggesting other parties may fear a backlash from the right over any negotiations. During his BBC interview Mr Khan also touched on the case of Asia Bibi - a high-profile blasphemy case involving a Christian woman. Pakistan's Supreme Court upheld its decision to overturn her conviction and death sentence in January, but she is yet to leave Pakistan. Mr Khan told the BBC that she would be departing the country "very soon"
"There is a little bit of a complication. And I can't speak on the media about [it]," he said. "But I can assure you she is safe and she will be leaving in weeks." Abhinandan: Who is the Indian pilot captured by Pakistan?